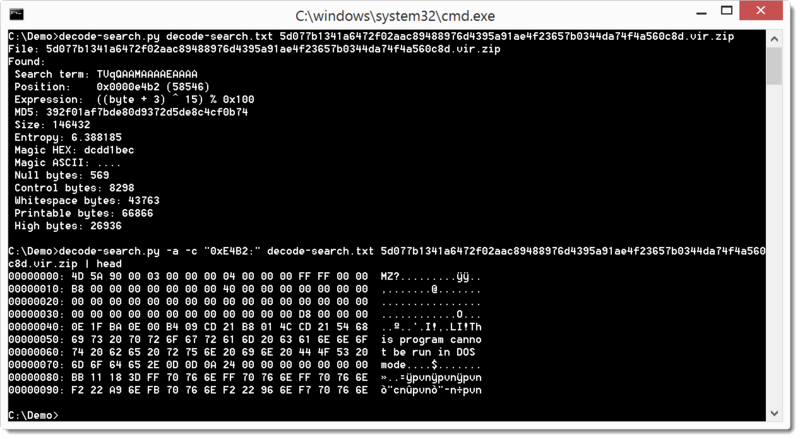 This new version of xor-kpa adds the option -x to encode/decode, and also prints the hexadecimal value of the found keys. When I left my last position, my friends and colleagues with whom I’ve worked for years gave me a little challenge: a PDF with a hidden ciphertext. At first I had to use Excel to decipher the ciphertext, but later I wrote a small Python tool to help me. The simple ciphers supported by this tool are XOR, ROT, Vigenère and subtract (I added that last one because it was used in a maldoc). You can use the man page (option -m) to learn more. 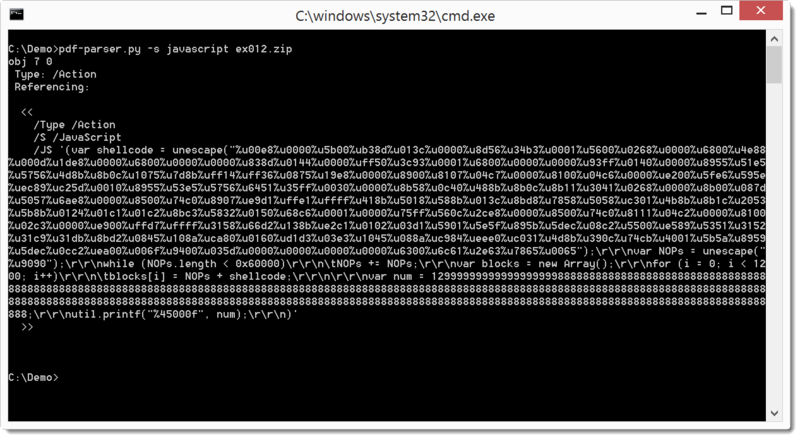 This new version supports different encodings besides base64 (but the name remains base64dump). The new encodings are hexadecimal (hex), \u unicode (bu) and %u unicode (pu). 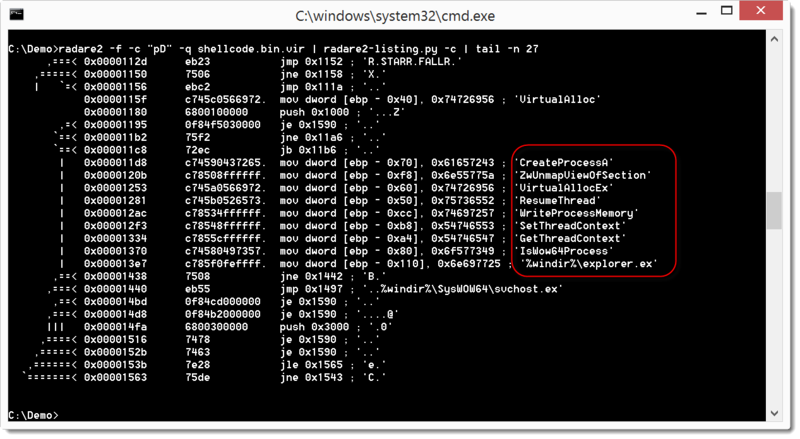 And a last small update: this version also counts unique bytes, i.e. the number of different byte values found in the data. 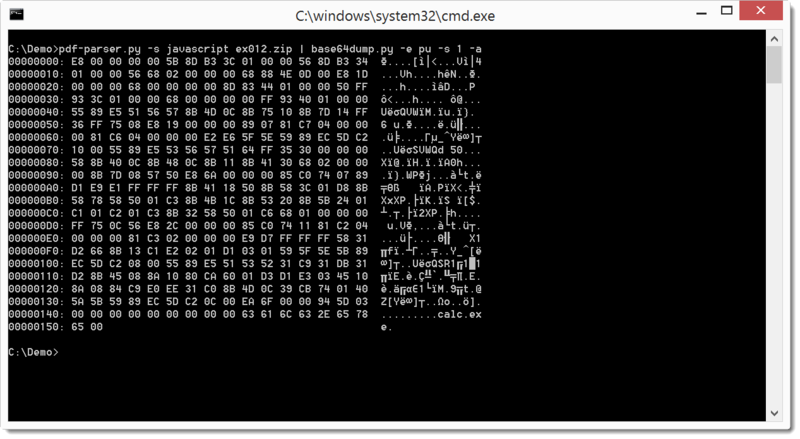 A small update to zipdump: this version displays the ZIP comment (if present) and also counts unique bytes, i.e. the number of different byte values found in the data. A small update to byte-stats: this version also counts unique bytes, i.e. the number of different byte values found in the data. Option –suffix allows you to instruct the program to add a suffix to the VBA function names. Mostly as a reminder for myself, here is how to set the Alternate Data Stream to mark a file as originating from the Internet.